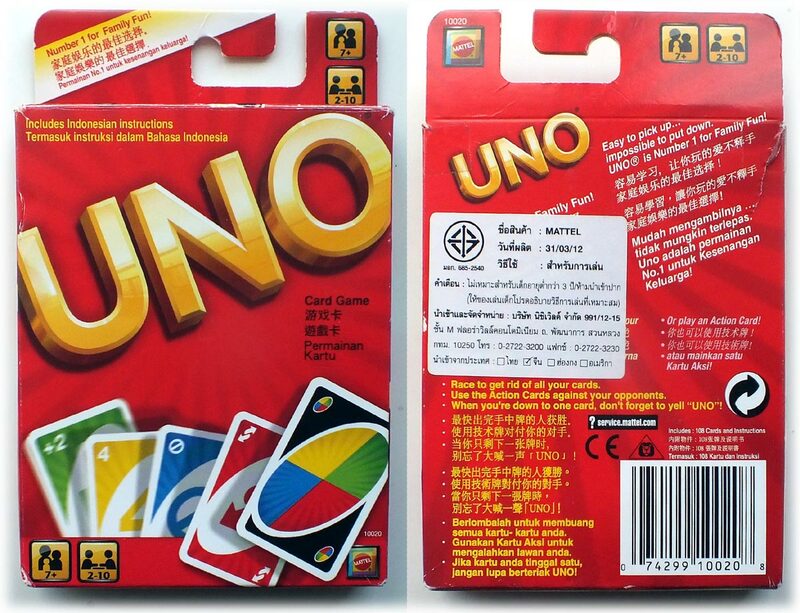 UNO Indonesian edition, licensed by Mattel for sale in Thailand, etc, 2011. The set contains 76 number cards, in four colours, plus 32 Action cards, making a total of 108 cards. The object of the game is to be the first player to score 500 points by winning successive rounds of play in which players try to get rid of all their cards. 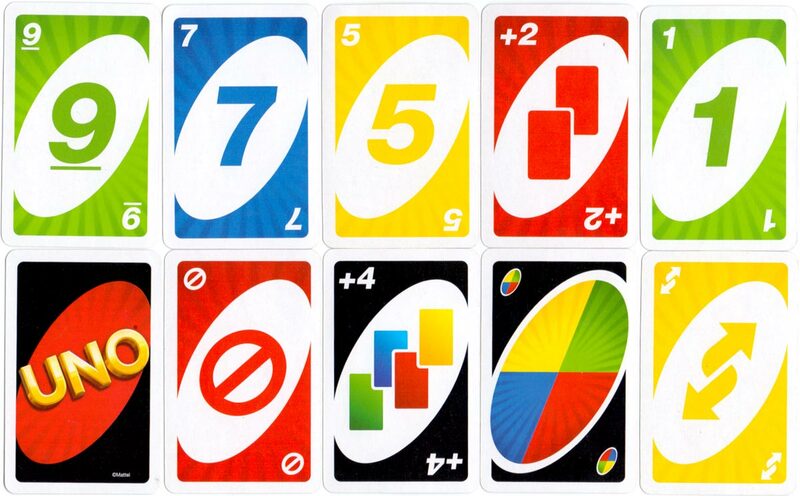 The name UNO comes from the feature in the game that you must yell “uno” when you are only holding one card. Above: UNO Indonesian edition, licensed by Mattel for sale in Thailand, etc, 2011. 108 cards + Indonesian instructions in box. The popular card game has been customised in dozens of different themes and styles, such as Barbie, Batman, Disney, Elvis or Freaky Monsters, some of which have new special rules or extra cards. 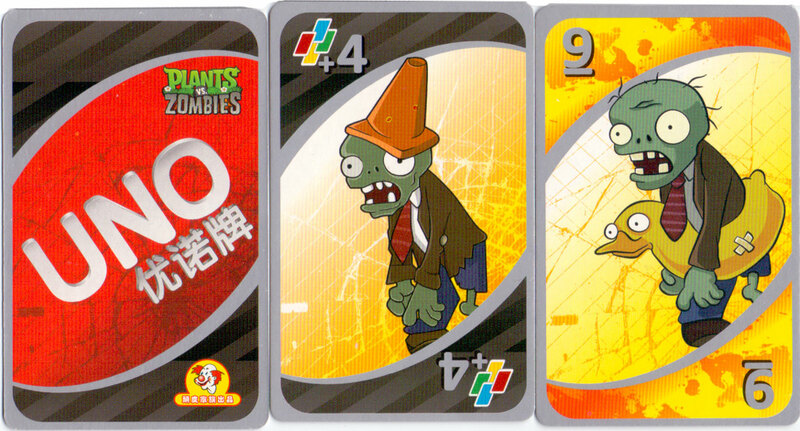 Above: Plants vs. Zombies UNO card set Chinese edition, licensed by Mattel East Asia Limited, 2011. 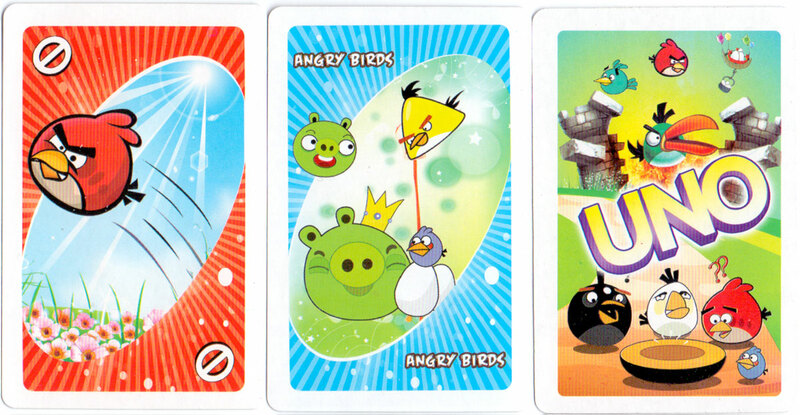 Above: pirate edition of Angry Birds UNO made in China, 2003.